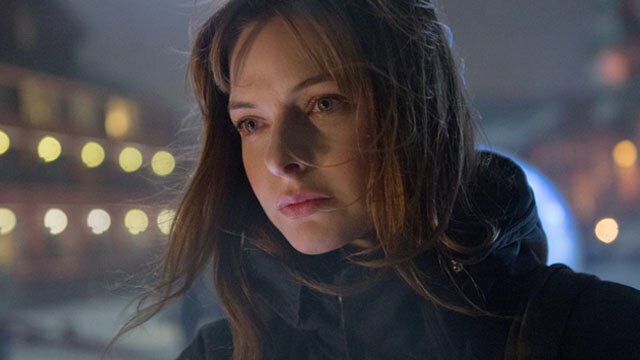 Thanks to her role as Ilsa Faust in the last two Mission: Impossible movies, Rebecca Ferguson’s star is on the rise. Now, Ferguson’s next role may take her to the stars, in a leading role within the upcoming Dune remake. According to The Hollywood Reporter, Ferguson is in talks to join the cast of Dune. If Ferguson closes the deal, she will portray Lady Jessica, the mother of Timothee Chalamet’s Paul Atreides, Within Frank Herbert’s classic novel of the same name, Lady Jessica and Paul are part of a noble family who are forced to flee into the deserts of the planet Arrakis. Paul rises to become the new leader of the nomadic desert tribes. Lady Jessica helps convince the nomads that Paul is their messiah. From those humble beginnings, Paul’s quest will threaten to bring down the Emperor who plotted against his family. Dune was previously adapted by David Lynch in 1985, and it was also a series of TV miniseries starting in 2000 on SYFY. Blade Runner 2049 and Arrival director Denis Villeneuve will helm the Dune remake. Eric Roth and Jon Spaihts wrote the script, and it is being produced by Legendary Pictures. The new Dune may begin filming as soon as next year, although a release date has not yet been announced. If Dune proves to have better luck at the box office than Lynch’s film, then there’s plenty of material for sequels. Herbert wrote five additional Dune novels before his death in 1986. Herbert’s son, Brian Herbert and novelist Kevin J. Anderson collaborated on a number of Dune books as well. Brian Herbert and Anderson are both involved with the Dune remake, as an executive producer and creative consultant, respectively. Are you excited to see Rebecca Ferguson join the cast of the Dune remake? Let us know in the comment section below! The post Rebecca Ferguson May Join Denis Villeneuve’s Dune Remake appeared first on ComingSoon.net.